Frently can help you to reduce your basic rent if you are currently paying more than the legally permitted rental price of your room or apartment. In the Netherlands there are a lot of rules regarding the rental price for a room or apartment. For example, a landlord is not allowed to ask more than a certain amount for your living space. This maximum rent is calculated on the basis of a legal point system. Depending on the size and facilities of your room, points are awarded or deducted. The more points, the higher the rent that the landlord may charge. If you contact Frently within the first six months of your rental agreement, we can retroactively reduce your rent. If you have already passed the six month term we can stil reduce your rent. The starting date of your reductions will then lay in the future. Are you wondering if your rent is higher than legally permitted? Go to our online rent check and find out. Linda pays a basic rent of € 275.- per month. She has a room with central heating on the Grote Markt. The surface area of her room is 12 m2. Linda shares her kitchen, bathroom, washstand and toilet with three roommates. She has no outdoor area and no bike storage space. According to the law this room will be awarded 83 points. That corresponds with a maximum rental price of € 168,80. This means Linda’s landlord is charging far too much rent for her room every month. 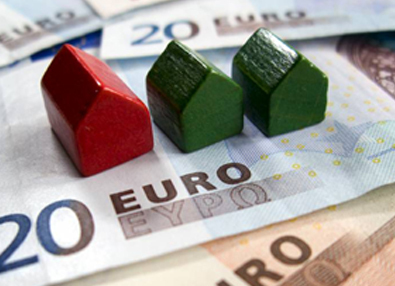 She is entitled to a rent reduction of € 106,20 per month. The rental check on our website gives a good indication of your maximum rent. If you prefer an exact calculation, we recommend you make an appointment for a rent check at your home. This appointment is free of charge and free of any obligations.